When you start looking at your Winter Haven Ford area dealership, Bartow Ford, for a new car, you will literally have hundreds of choices. To narrow down which model to buy, we want to help you take a look at the different body styles. Today, we’re focusing on sedans to see if this body style makes sense for you. Every body style has its own benefits, yet sedans remain one of the most popular options. Many people choose sedans due to their lower seating position. This makes it incredibly easy to get in and out of, something which is perfect for those with mobility challenges or small children. Sedans also provide great benefits concerning fuel economy, as they tend to be the most efficient cars and are more likely to have a hybrid option. They’re also often more affordable than other body styles, helping your wallet. With those benefits in mind, consider the various Ford sedans to get a feel for their sizes and configurations. The C-Max is a compact sedan offered in two-hybrid trim levels and offering best-in-class horsepower. The subcompact Fiesta is great for those on a budget and has five configurations, including both a sedan and a hatchback. There are a total of ten configurations for the compact Ford Focus, including choices like a sedan, hatchback, and a sporty RS model. 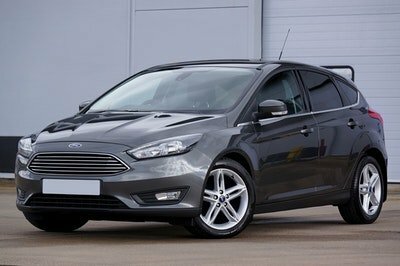 You can even get a Focus Electric if you want to really maximize efficiency. The Ford Fusion is a mid-size sedan with a total of 11 configurations, including six trims with gas engines, three with a hybrid powertrain, and the Energi Titanium EV. The Mustang is a classic muscle car, now available in your choice of eight configurations, including a fastback and a convertible. The mid-size Ford Taurus is available in four trim levels with available features like FordPass, SYNC 3, adaptive cruise control, and intelligent all-wheel drive. 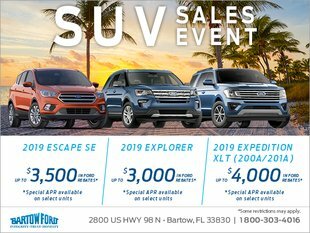 Your Winter Haven area Ford dealership, Bartow Ford, has an excellent selection of sedans and other body styles, along with a knowledgeable team to help you figure out which car matches your budget and needs. Visit us at Bartow Ford, chat with us online, or call us at 800-303-4016.